Where would we be in Harwich without our coastal waters, our ponds, and our sole source water aquifer? 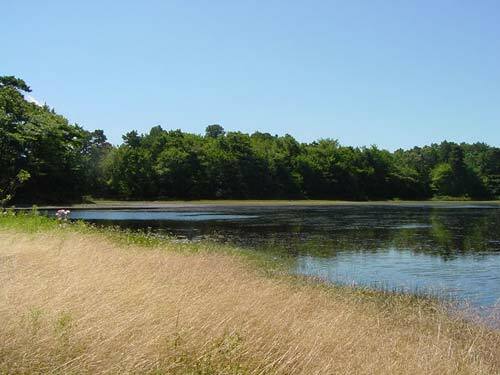 Our water resources define our sense of place, our quality of life in Harwich and across Cape Cod. Increasingly, our waters are threatened by development of the lands around us. The Trust believes that the best way to protect our waters is to preserve the surrounding land. The Save Land – Save Water Initiative is a strategic plan to protect our sensitive water resources by preserving priority lands. We use water for drinking, boating, swimming, fishing . . . just about everything we do involves our ponds, bays, or underground aquifer. Our freshwater ponds and saltwater bays can offer a relaxing day at the beach, quiet walks by wind-ruffled water, sunset sails, or even a fishing tale about “the one that got away”. Natural land is being converted to roads and subdivisions at an alarming rate. Regional planning experts predict that remaining Cape Cod upland could be entirely developed in less than 30 years. From 1985-1999, Harwich lost 1,103 acres or 7.6% of land area to residential development. Harwich ranked 20th (within the top 5%) out of 351 Massachusetts towns and cities for land lost to development. Most of the salt waterfront land has been developed, but there are still success stories such as the successful Save Monomoy River Campaign. Many unprotected lands nestled against our ponds are at risk. 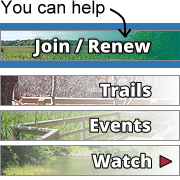 The Save Land – Save Water Initiative is a rare opportunity to contribute funds targeted toward protecting lands critical for the health of our ponds, bays, and drinking water. Together, we can make a difference in the lives of both residents and visitors who share our waters. Let’s make sure that the next critical water-related landscape isn’t “the one that got away”. If you fish, swim, boat, or just turn on the tap for a glass of water, then please join us in preserving these last great places in Harwich.